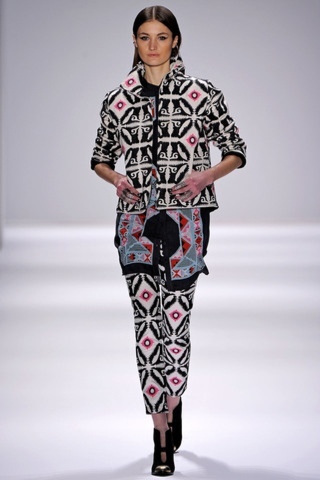 I absolutely love the bright geometric tribal print on print motifs, its so fun and fresh. I always have a hard time giving up color when summer fades away so its great to know we'll have some brilliant hues for Fall 2013. 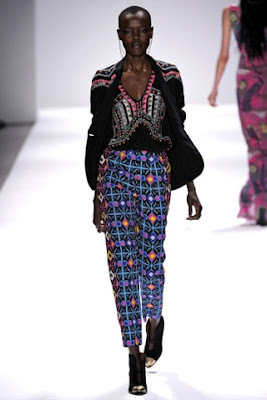 Check out the whole lineup from her runway show here!